Edit *Engraving cost is non refundable. 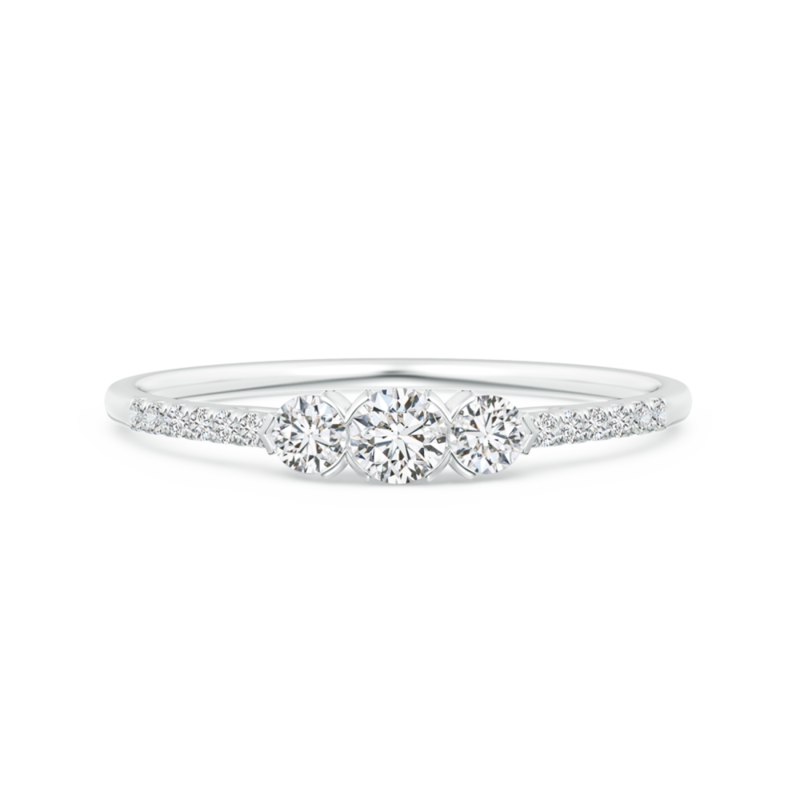 Set in uniquely shaped prongs, the three center diamonds blaze like stars. Glistening diamond accents adorn the shank adding to the radiance of this 14k gold lab grown diamond ring. For those who prefer timeless style, there's never a dearth of classic jewelry. Many collections of this particular style have been influenced by pivotal fashion eras, such as the Art Noveau jewelry of the early 1890's and the Edwardian jewelry of the 1900's. Classic jewelry usually features a variety of designs, including elegant and intricate ones. The enduring quality and the hint of prestige that radiates from this jewelry style is hard to miss. If you're a lover of all things classic, this product will be the perfect addition to your jewelry box.